Creating dozens of inspired flavor combinations of jams, jellies, marmalade,fruit butters and chutney. What's your favorite? Oh what a wonderful surprise. We were driving down Seabright and saw the stand. Of course there were several people there before us, even in the rain. 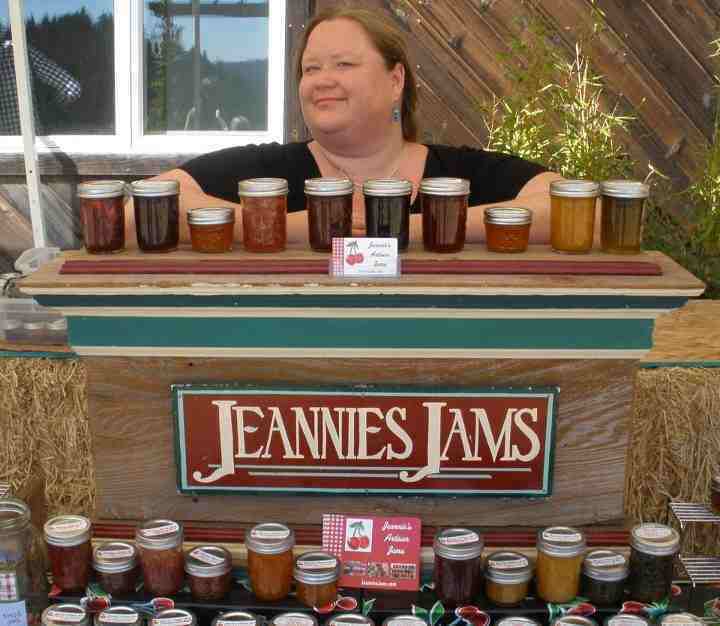 This is our first experience with Jeannie's jam. I chose the triple berry. It's amazing. Chunks of fruit which is what I wanted and so hard to find. Oh wow. Can't wait to get more. Thanks for magically appearing.